but i figured I would re-post it here in case you missed it. Ok, I realize packing for the holidays or anytime is just one of the dreadful things about traveling! I am always afraid of leaving something behind that I need! I'm a list maker!! It saves me and my brain from stressing!! 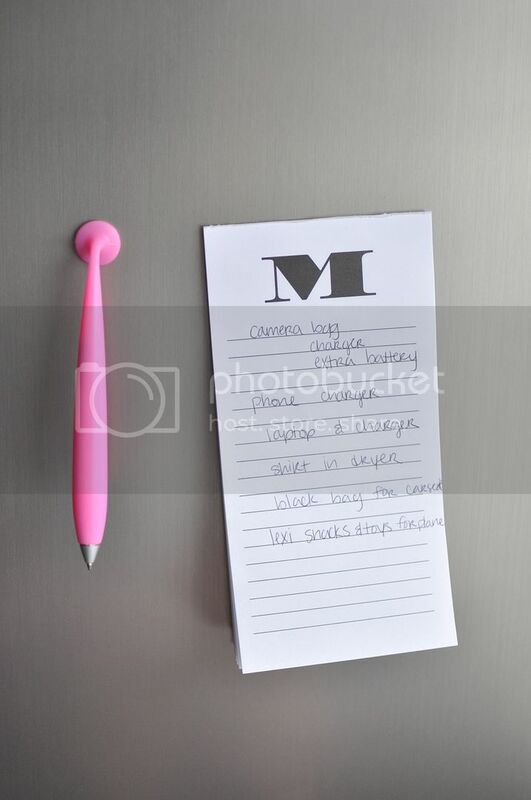 I just have the list on my fridge and i can check it off and add on as I go! So the first thing I do is list all the important things that I think I could possibly forget! I actually never pack until the day before I leave because most of the items I am taking are everyday things I use.. It also allows me to get all the laundry clean before I start the process as well!! Ok so we will start with me & how I pack... I do bathroom items last.. clothes first. For this last trip (5 days) I grabbed the essentials... It was warmer weather so I didn't really need bulky winter clothing. I always struggle with dressing Lex, I am much more indecisive on what to put on her than myself. 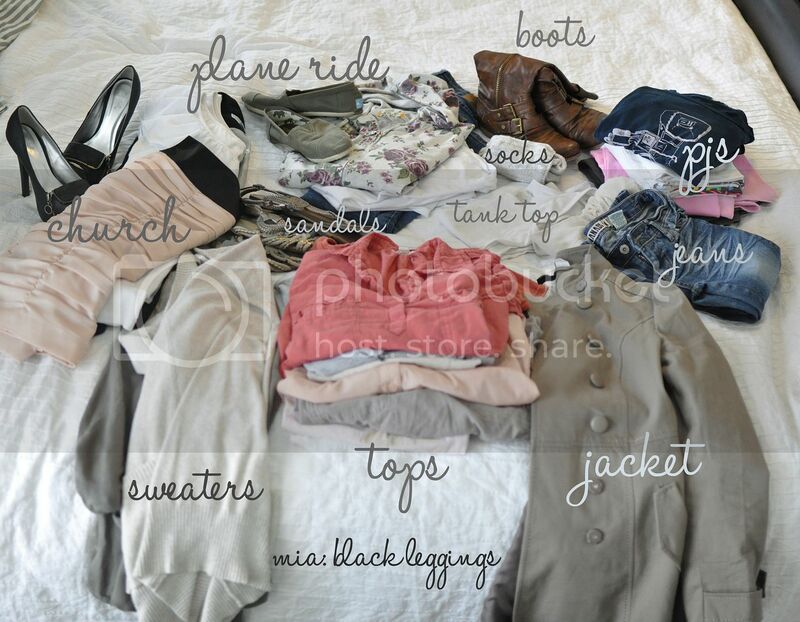 I don't have set outfits I always use so I like to plan out the outfits in advance when I travel so I know I have all the pieces I need.. plus it saves time when I get there!! Last time we went on a mini weekend trip and I didn't do this.. I got there missing a boot and not enough pieces to make outfits! 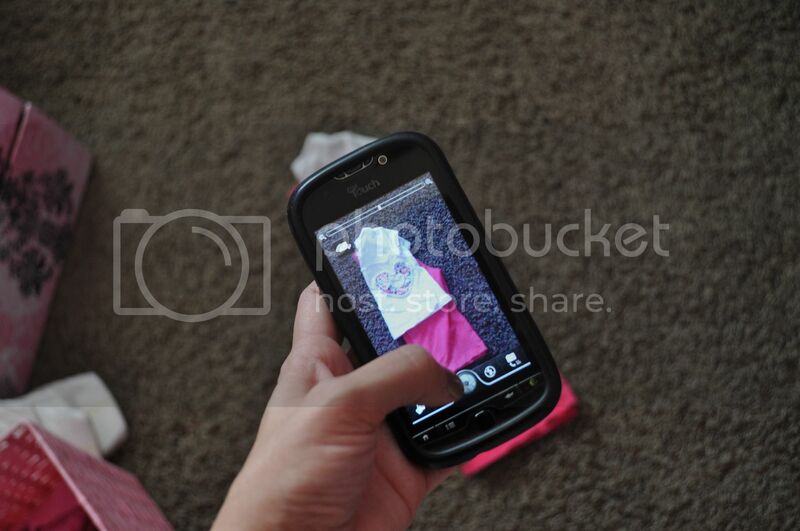 Second, I grab my cell phone and take quick pictures of the pieces for the outfits.. This is the most important part along with making a list! I love the idea of having all the outfits on my cell phone because I know I will always have it on me & its super easy to whip it out and use! We were gone 5 days so I made sure to have 5 outfits..
Also, don't forget to grab pj's and and church clothes(if applicable).. I only grabbed 3 sets of pjs b/c i knew my mom had 2 sets at her house that she had bought. For example, I did not bring a blow dryer on this trip because I knew my mom had one I could use so it saved lbs on my bag at the airport.. which left me with more room to shop or bring home items while I was there!! Most airlines have a 50lb bag limit. I used 40 lbs for me & lex on this trip. Don't forget diapers, wipes, jackets, toys, good, bottles, sippy cups, etc... It changes for who you are traveling with so this is just ideas to get you started!! Hope these tips were helpful during your travels!! Let me know if you have any clever packing tips in the comment section.. you can also check out the comment section over at HowDoesShe.. a lot of people had good ideas there too!! I love all her outfits! Seriously I want them in my size, so cute! That is a smart move to plan actual outfits. I always end up just throwing a bunch of stuff in and then try to figure it out when I get there. That is genius! Taking photos of outfits is going to help me SO much the next time (and every other time!) 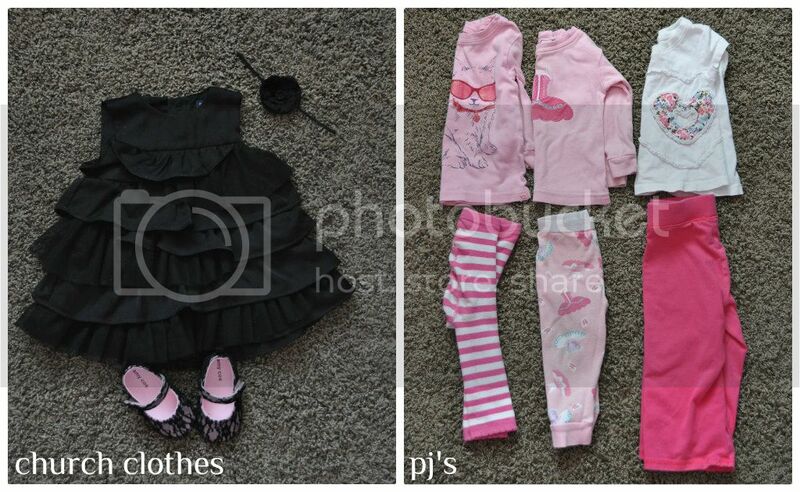 I pack up my daughter's clothes.